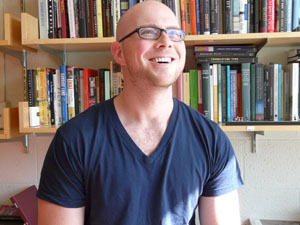 Professor Joel Burges has been selected as a recipient of a 2014-2015 fellowship at the Susan and Donald Newhouse Center for the Humanities, Wellesley College. Each year the Newhouse Center for the Humanities hosts three to six external faculty fellows at both the junior and senior level, selected through open competition. In residence at the Center, Newhouse Fellows devote themselves primarily to their own research but also participate actively in the intellectual life of the institution: developing programming, meeting at weekly luncheons and salons, sharing their work in progress with one another and with the larger Wellesley community.